Trixie, played by Mia Nevarez, throws a tantrum. Nevarez said it was challenging to convey emotion through her character’s babble. Father-daughter relationships can be tricky, especially when one speaks English and one speaks toddler babble. 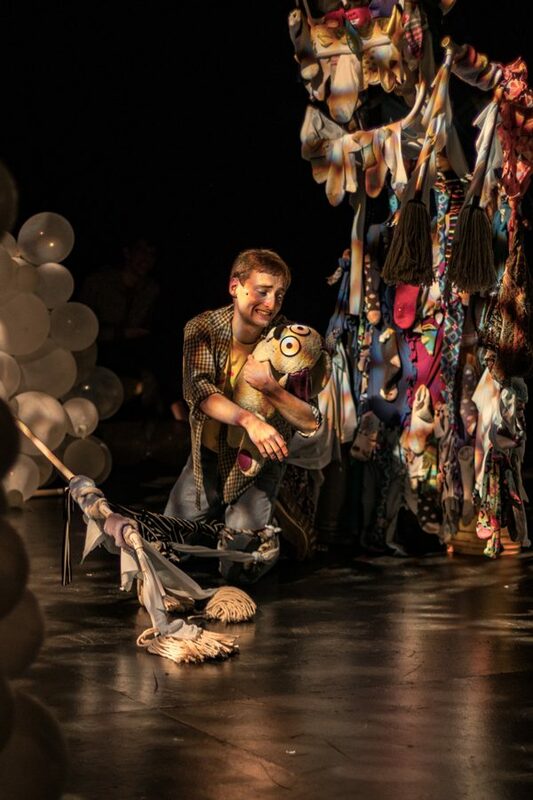 In “Knuffle Bunny: A Cautionary Musical,” a stuffed bunny might prove the key to connecting parent and child and transcending the language barrier. Presented by Imagine U, “Knuffle Bunny: A Cautionary Musical” tells the story of a 16-month-old toddler named Trixie and her father, who embark on an adventure to the local laundromat to save her stuffed bunny. The musical is based on Mo Willems’ award-winning picture book of the same name. Adam Brody plays the father in “Knuffle Bunny: A Cautionary Musical.” Brody has to go on an adventure to save his daughter’s stuffed animal from the laundromat. He said the show’s theme of unconditional love will resonate with parents. “(The show) is something that I think parents are really going to connect to, just as much as the kids are gonna really enjoy it,” Brody said. Brody said parents and their kids don’t always have to understand what the other wants to appreciate each other. Mia Nevarez, who plays baby Trixie, said playing a 16-month-old toddler helped her recognize how much effort parents put into trying to understand their kids before they can even speak. 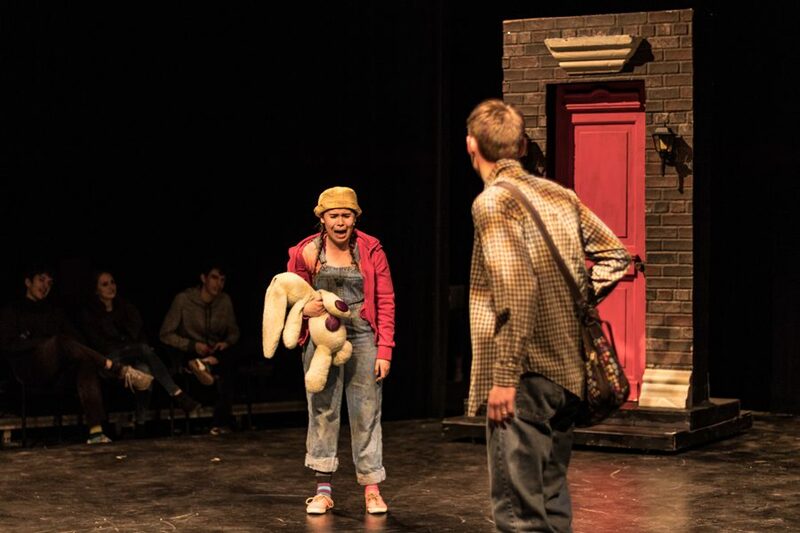 “While it is a show about losing a bunny, it still has a powerful message about listening to your kids and listening to your parents,” the Communication sophomore said. Nevarez said while she enjoys her role, she found it challenging, as she had to figure out how to give emotional meaning to Trixie’s babble. Brody, education director of Imagine U, said, in addition to the musical, the group will host post-show activities, including a 45-minute workshop where young audience members will have the opportunity to create their own drama. Brody said this production is “really about the kids” and giving them a good time. Even though their enjoyment is the main focus, Brody said the themes of love and family in the show will resonate with anyone who comes to see the show.